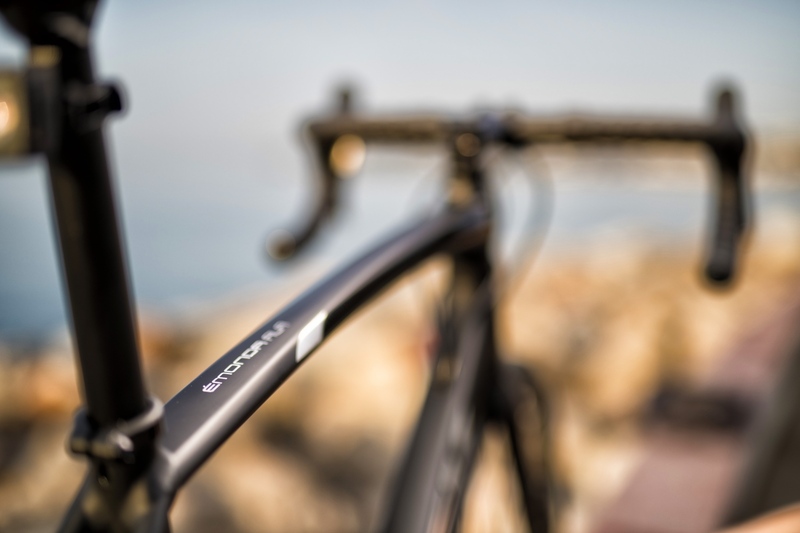 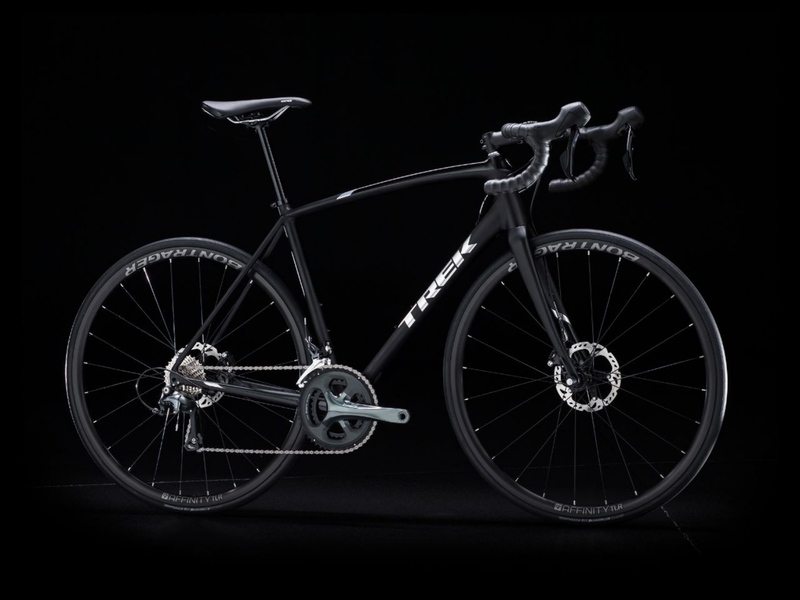 Trek has released a new alloy road bike, the Trek Emonda ALR. 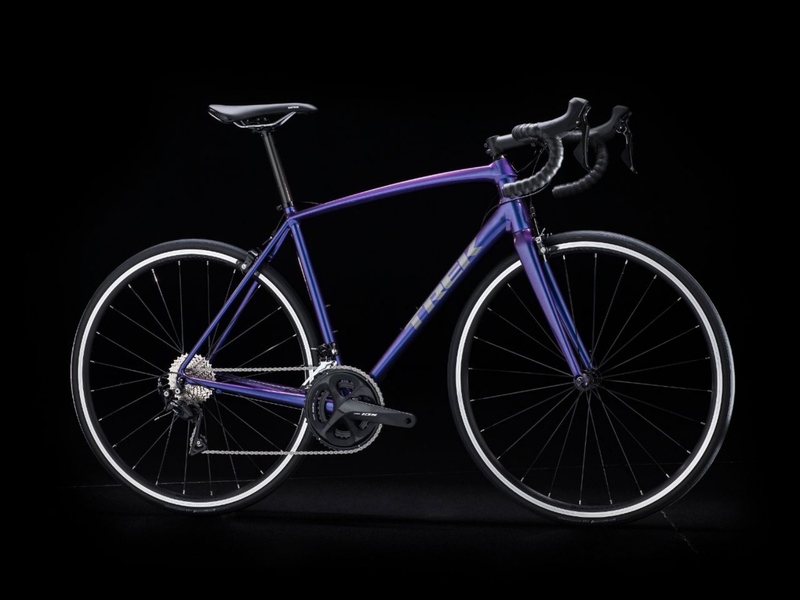 Each model in the new lineup features a hydroformed Alpha Aluminum frame that delivers the sleek looks and ride quality of more expensive carbon models. 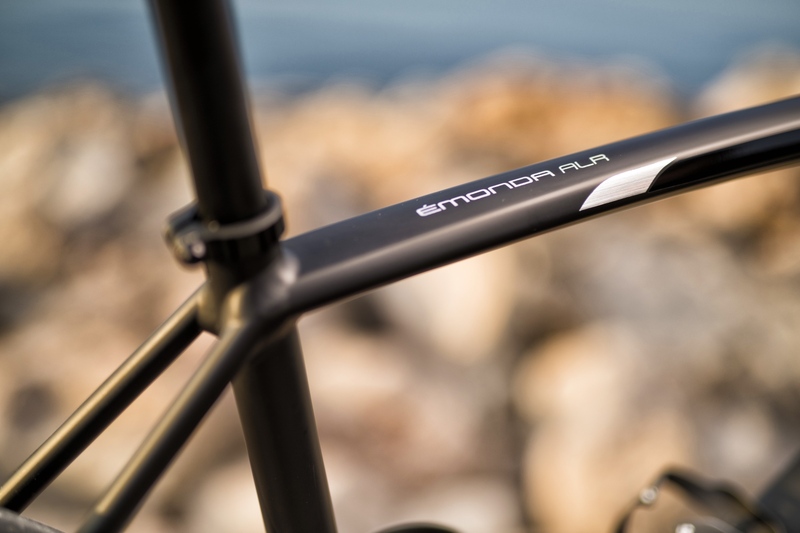 Like every Emonda, the new ALR is built to be light. 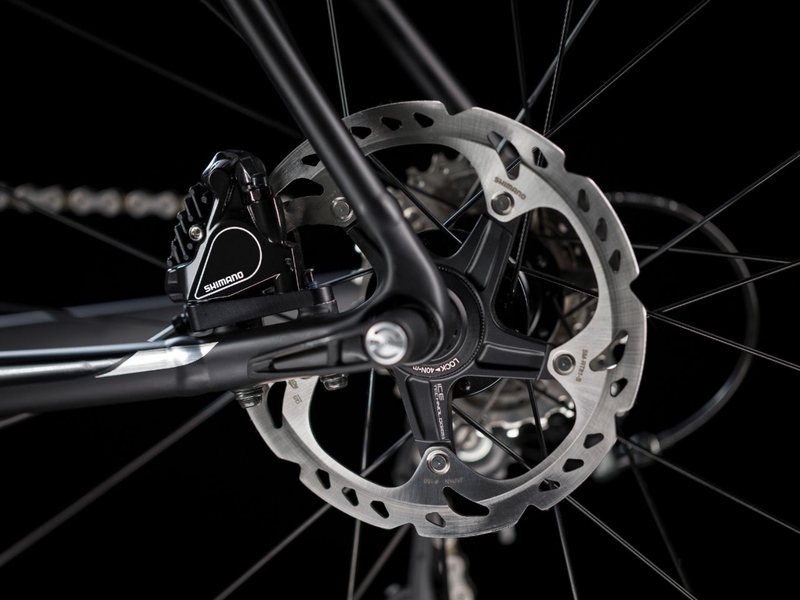 It’s available in both rim and disc brake options with frames that weigh in at 1112g and 1131g respectively (56cm). 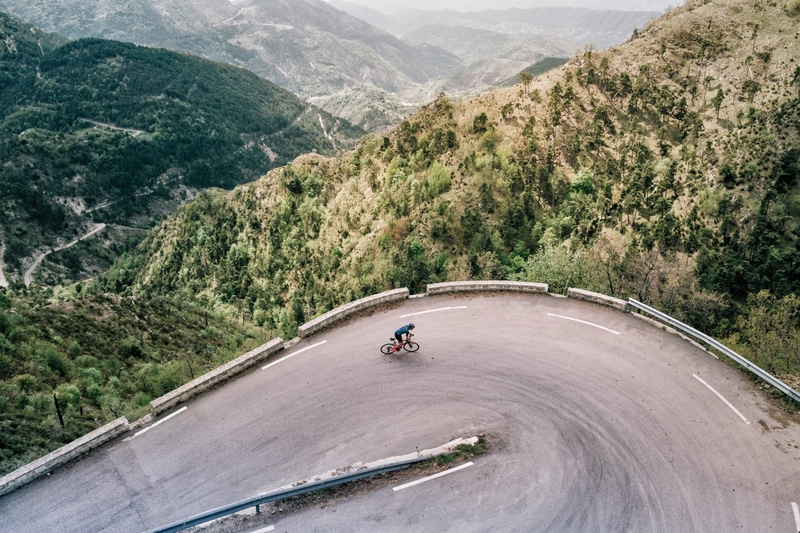 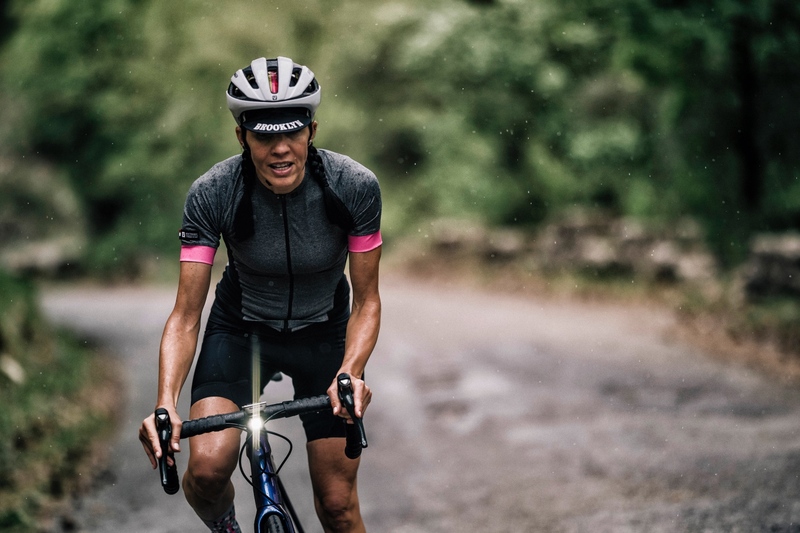 The Trek Emonda ALR and Emonda ALR Disc are great for a wide range of riders that includes racers, club riders, gran fondo enthusiasts, and beginner roadies looking for a high-quality bike they won’t outgrow as their skills advance. 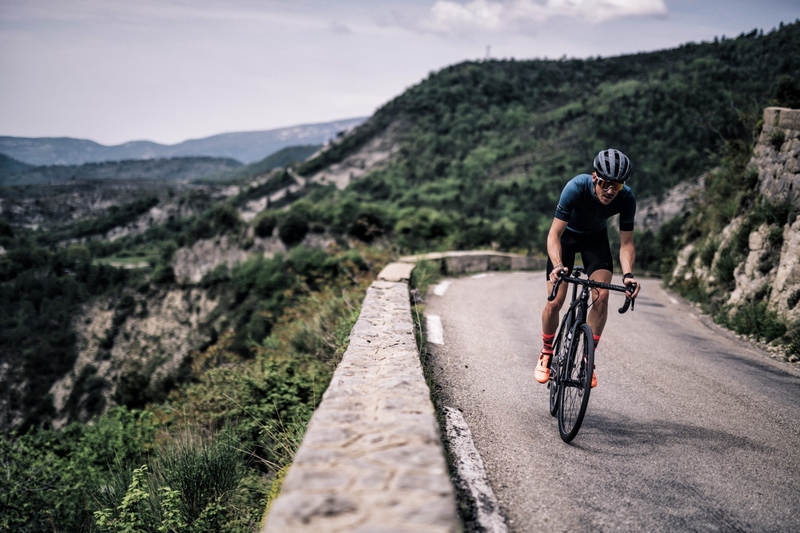 Emonda ALR is available with lightweight direct-mount rim brakes or disc brakes for all-weather stopping power and control. 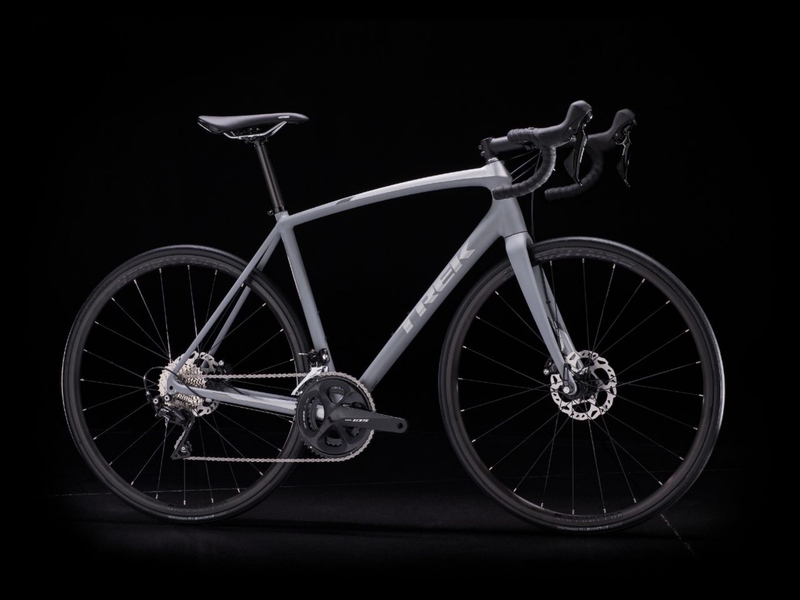 Trek Emonda ALR has an H2 geometry. 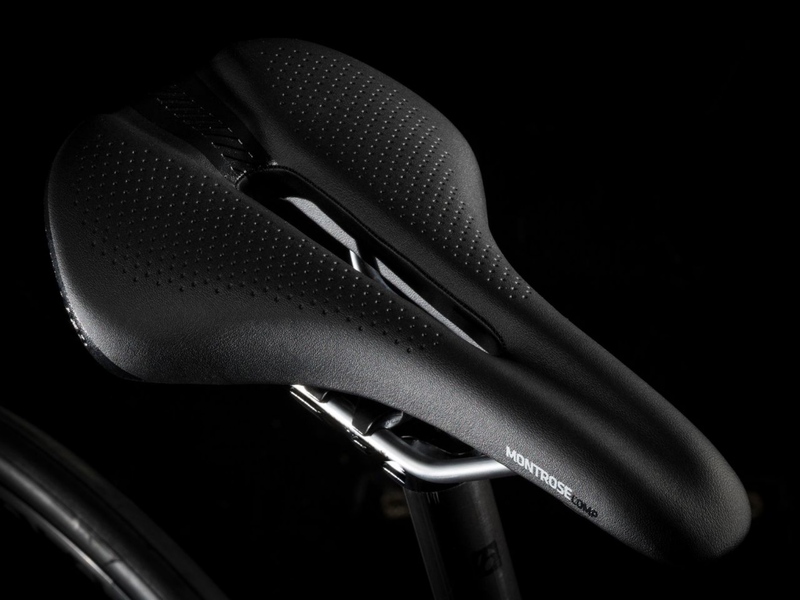 It’s the perfect fit for most road riders because it’s not overly aggressive but still puts you in the right position for power. It is available in five complete models and two framesets through Trek’s network of retailers and on trekbikes.com. 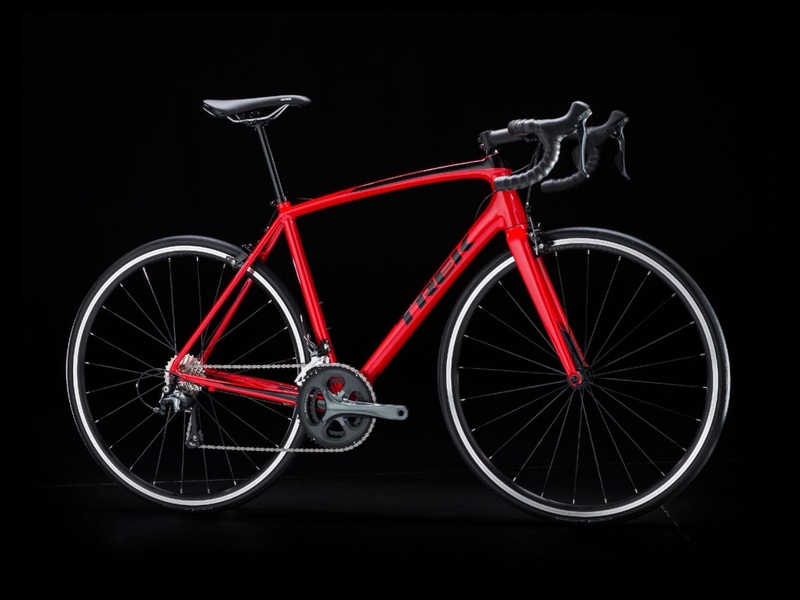 Prices for complete bikes range between $1300 and $1800, with Emonda ALR 4 and Emonda ALR 5 Disc at either end of the spectrum. 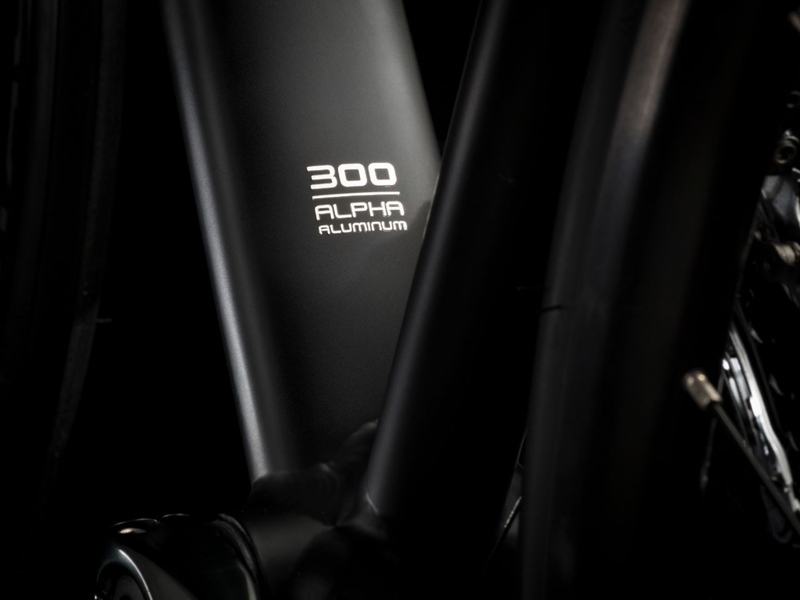 The Trek Emonda ALR frame is built with Trek’s premium 300 Series Alpha Aluminum and features a tapered head tube and internal cable routing. 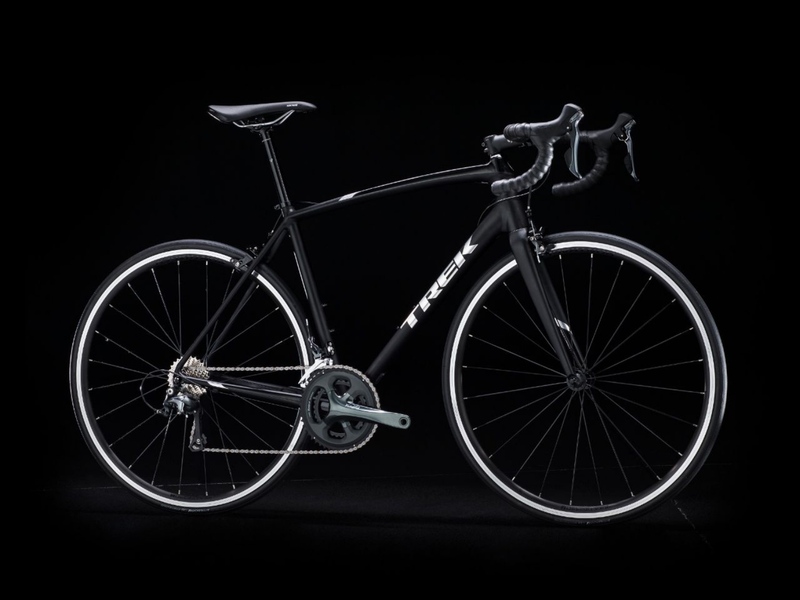 Trek engineers used hydroforming — the process of injecting fluid into a cylindrical frame tube and stretching it to its capacity — to manipulate the frame’s tubes into complex shapes for reduced weight, a better ride quality, and carbon-like looks. 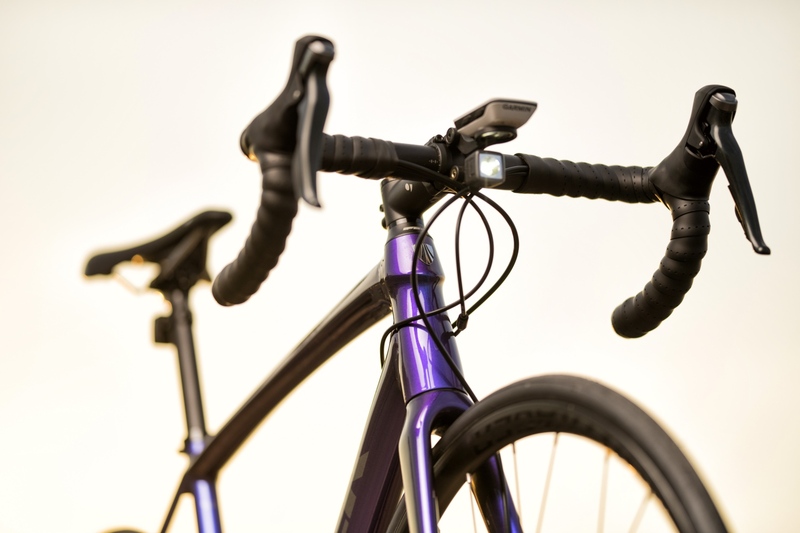 By creating hydroformed tube shapes that fit well together, Trek engineers were able to reduce the amount of weld material needed to join the tubes. 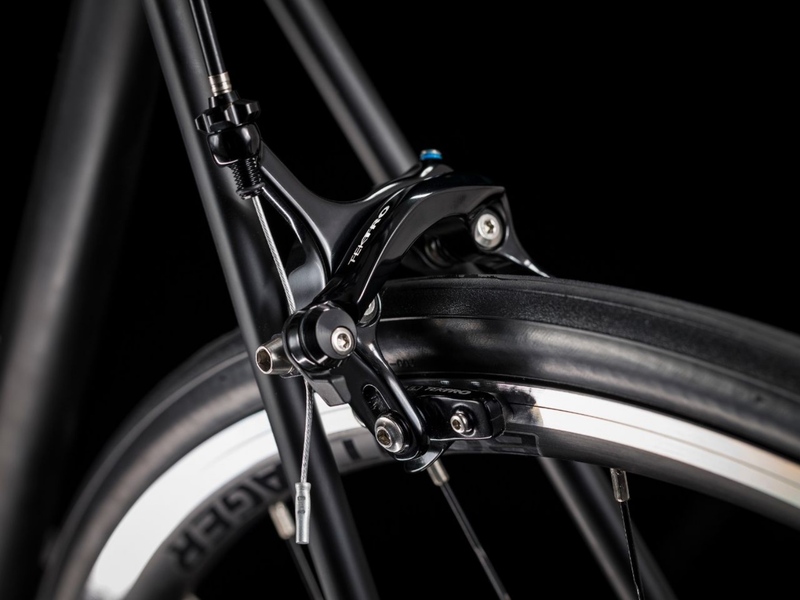 This process is called Invisible Weld Technology. It allows for larger continuous surface areas on the frame, which increases strength and cuts down on weight. 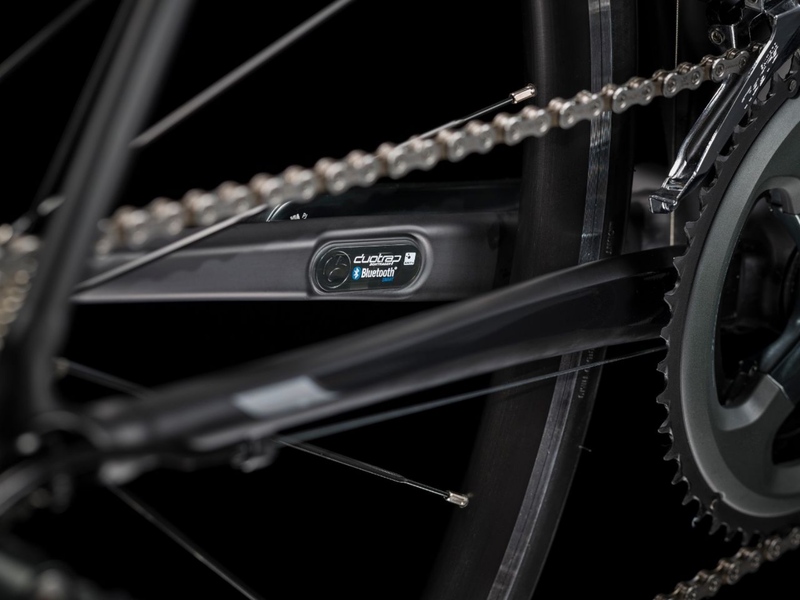 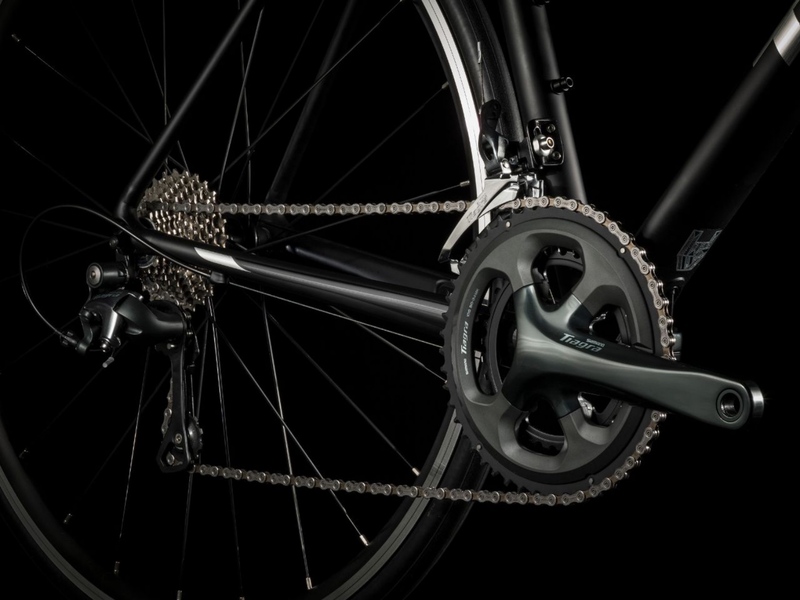 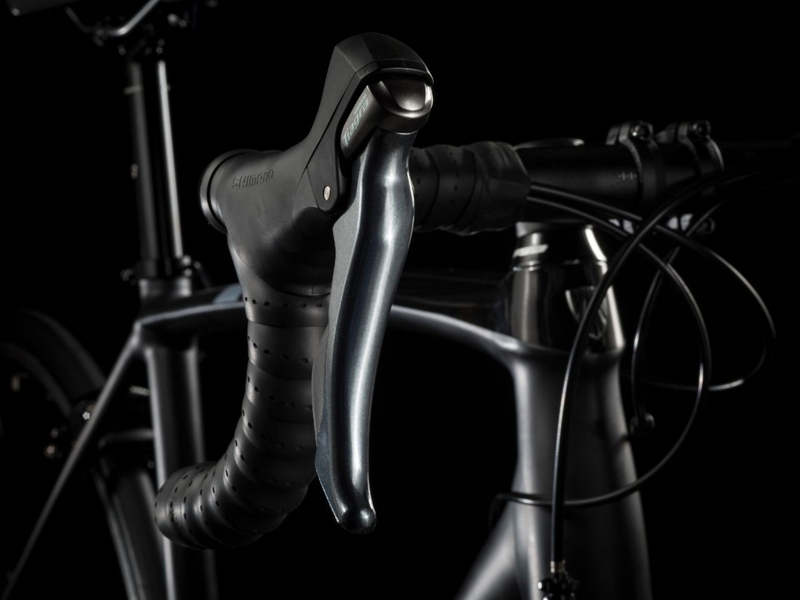 All Trek Emonda ALR models are DuoTrap S-compatible so you can track your ride metrics. 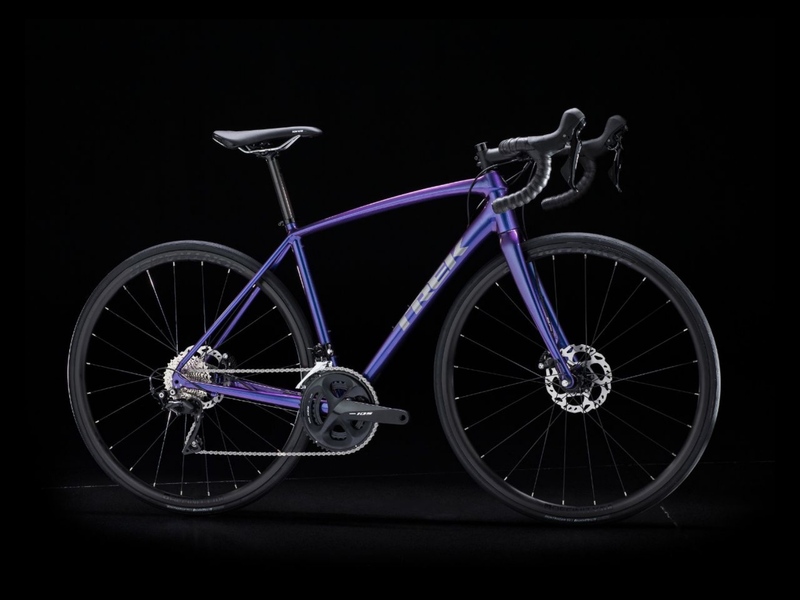 They come stock with 25c tires, a full Emonda carbon fork, and a complete Shimano Tiagra or 105 drivetrain. 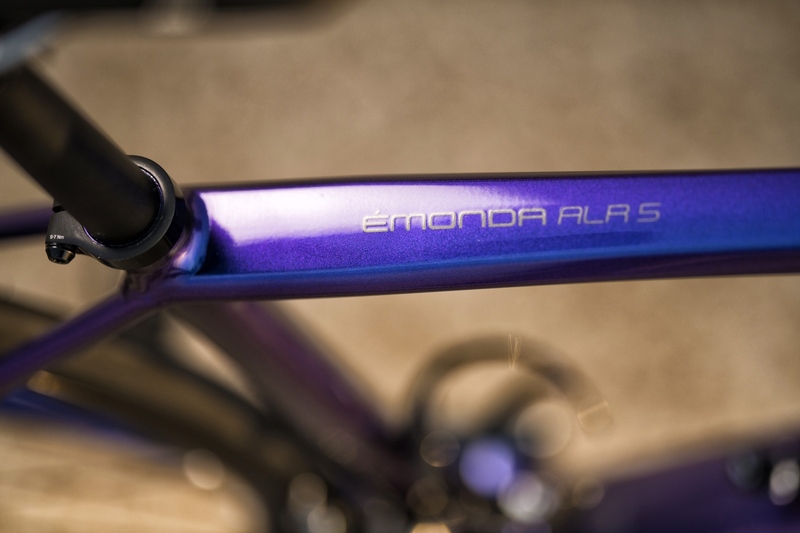 Emonda ALR 5 and Emonda ALR 5 Disc are available in iridescent paint scheme called Purple Flip. 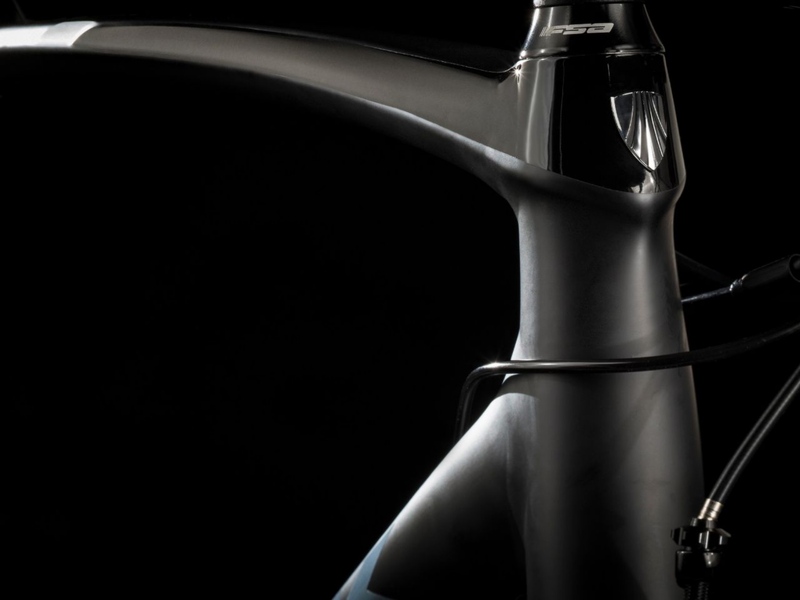 It has a level of sparkle you’d expect to see in Project One, Trek’s custom bike program. 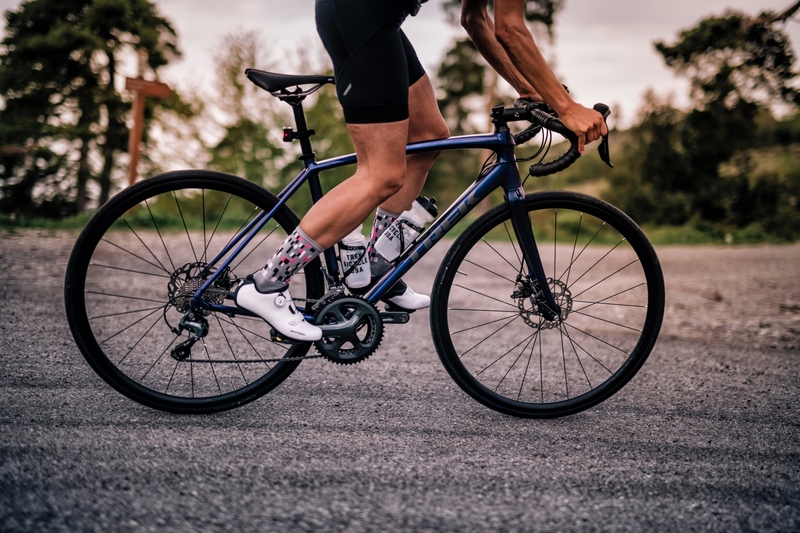 The new Trek Emonda ALR 5 Disc Women’s delivers the same Emonda performance with touchpoints that can provide a better fit and feel from the start. 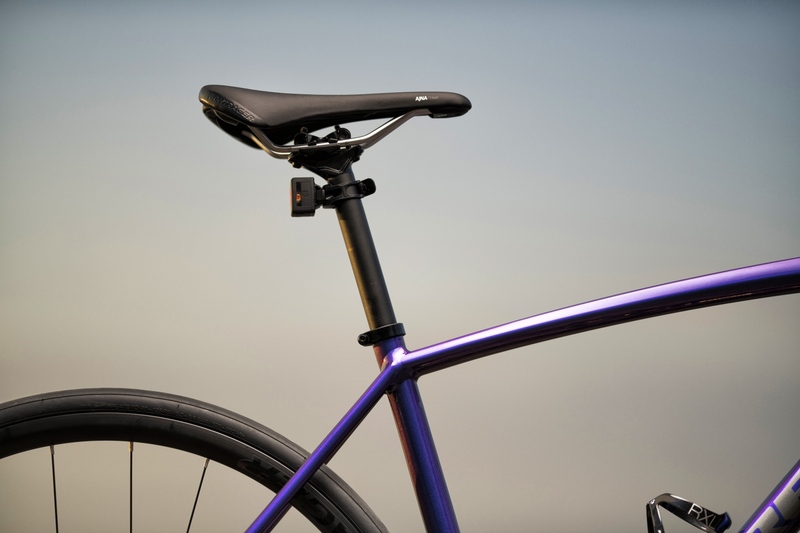 It’s built with the same frame and drivetrain and spec’d with a Women’s Specific Design Saddle, shorter stem length, and narrower handlebar. 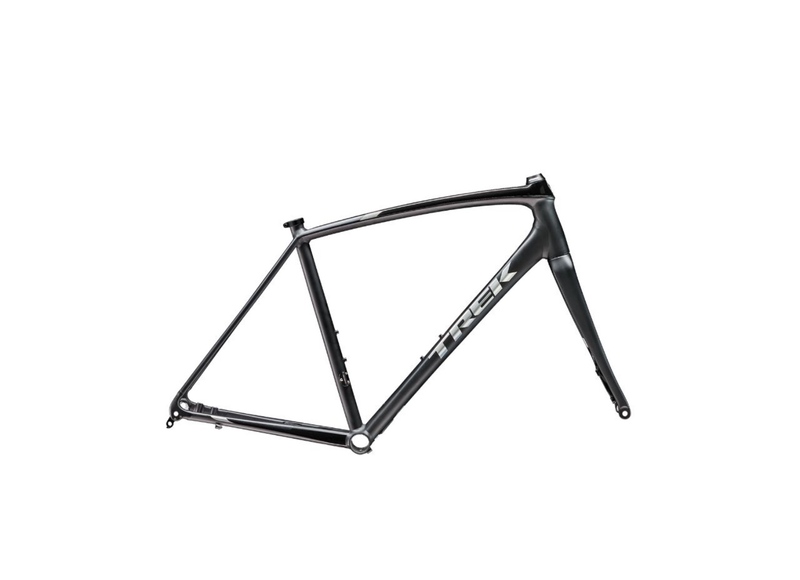 For more details head over to www.trekbikes.com.